Along with the lip tars from the Spring 2014 Plastic Passion Collection, I was gifted the set of Cosmetic Colour Pencils (CCP). I'm going to swatch, review, and provide comparison swatches between the original lip tar and the counterpart cosmetic colour pencil. I don't own all the lip tars but I do have five that I can compare the pencil versions to. Along with that, I will show the lip looks you can get by layering the lip tars with the counterpart pencils! I will not be reviewing the Anti-Feathered Cosmetic Colour Pencil in this post, instead I'll be testing it separately to see how well it performs at preventing feathering. *Indicates that these are only lip and body safe. The rest of the shades (Feathered, Sybil, Pennyroyal, Tarred, and Pool Boy) are eye, lip, and body-safe. I have quite a bit to say so I'll be putting the rest of the post under a cut! Where to purchase: Sephora.com(affiliate link) and OCCmakeup.com, Sephora stores 2/18. Packaging: The pencils are in a white wooden barrel with either a black or white cap. Six came with black caps and six came with white caps but I'm not sure what determines which pencil receives which. I thought it was originally based on whether they were eye-safe or not but some of my non eye-safe pencils have different colored caps so who knows. I copied fellow blogger Aprill by capping my eye, lip, and body safe pencils with the white caps and the lip and body only pencils with the black caps. The pencils were applied in a few passes on the skin in order to create a larger swatch however the pigmentation of one stroke is the same as seen below. As you can see, the colors are very pigmented. All pictures were taken in natural daylight with no flash. So how do they compare to their lip tar versions? Of the five I compared, I thought three were very close but two of them were quite different from the original lip tar. Hoochie and Pool Boy are quite different from the original lip tars. Pool Boy is much darker but Hoochie is very different from the original. Hoochie CPP has this very subtle blue pearl and I think it's more fuchsia. I tried to build up the color so you can partially see it in the middle of the swatch. While I wasn't able to swatch all of them, I already know from experience and other swatches that Feathered and Tarred CCP are more opaque than the lip tars. First off, if you're used to gel-like pencils from Urban Decay, Milani, etc, you might think these pencils are too dry because in comparison, they may appear to be. However, these are creamy and don't tug on the eyes. On the lips, they don't feel as creamy as they do on the eyes but they transfer color well. A plus side to these pencils is that they can be sharpened to a fine point and can create thin, thick, and everywhere in between lines. 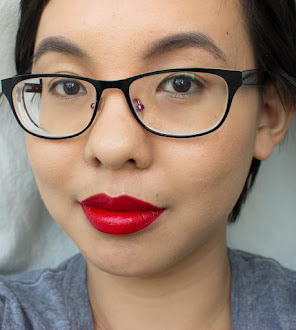 I wanted to see how the six eye safe pencils (Feathered, Sybil, Pennyroyal, Tarred, and Pool Boy) fared on my oily lids, on the waterline, as an eyeshadow base, eyebrow pencil, and how all the pencils fared on my lips. I also attempted using them on the face/body. The slighty drier formula performs well on the waterline, the color transferred easily without needing to blot the waterline with a cotton bud beforehand (which I always have to do for other liners). I've heard comparisons of the formula to kohl pencils but I think the comparison doesn't ring as true. The formula doesn't retain its color when smudged out, it just sheers out thinly. If you did want to smudge the color out, only the dark colors like Sibyl and Tarred fared well, the rest just looked like a stain on the lid. It could work as an eyebrow pencil but I think it's too pigmented. A lot of color comes off and it's a little difficult to do natural strokes/lines on the brows. 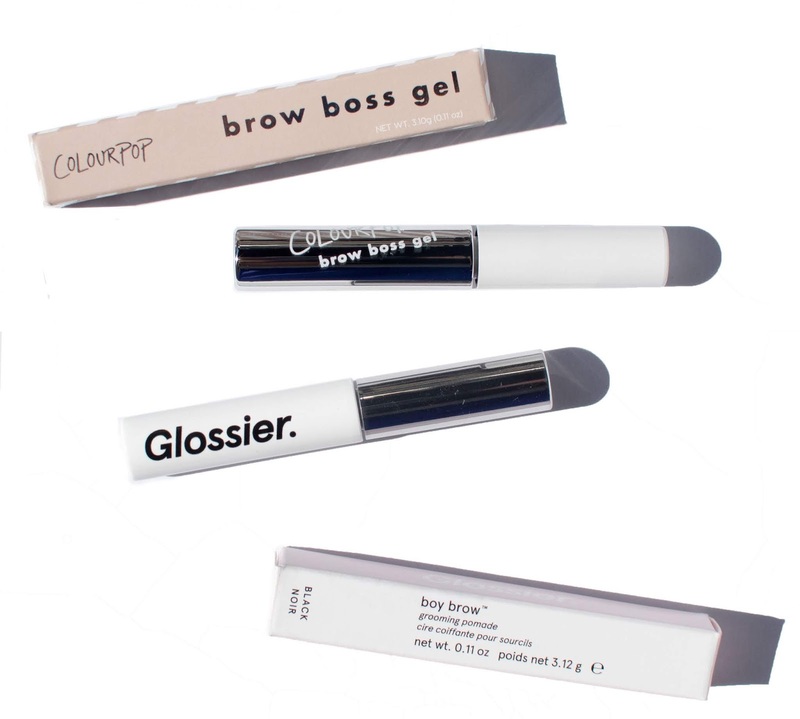 These might work well as a base if you're doing colorful brows since it's waxy enough to hold down the hairs and create shape. On the lips, all the shades perform great as a lip liner/all over color but you have to be careful about exfoliating your lips or else any imperfections are still highlighted. The finish is very matte which feels very trendy with that 90s revival. If you want to just get them as lip pencils, these are a great find especially since they're vegan! As for body use, as a consumer I'd most likely only try these as a blush but the pencil blends out too sheerly. If you want to use an OCC product as a blush, consider their lip tars instead! I know professionals might appreciate their use for body art but it doesn't set quickly enough. The biggest draw for these pencils is the fact that the entire line is vegan. While there are brands out there that do have vegan pencils (like Urban Decay's 24/7 Eye Pencil), not all of the shades in the line may be vegan and I haven't been able to find any vegan pencils in a wooden barrel at this price point. I've always felt that while OCC does a great job at making prosumer products, items that work well both for the consumer and the professional however I don't feel like these products are as successful at being multipurpose on me. Again, keep in mind that I'm not a professional so my perspective is from a consumer and I'm trying to consider what the average customer might think when looking at these products. Consider that the shades consumers are more likely to wear on the lips like Anime, Black Dahlia, Hoochie, NSFW, and Grandma are only lip and body-safe so their functions are already limited. People familiar with OCC may use the pencils on their eyes anyway regardless of any warnings but if you have an eye shape like mine, the lip and body-safe only shades also transferred after 30 minutes. For the eye, lip, and body-safe shades, you're most likely going to be using them as an eyeliner, eyeshadow base, eyebrow pencil (if you've got the right shade), or lip liner. It only fared well on the waterline and as a lip liner, though I don't see myself wearing white, brown, black, or blue on my lips and I think the average consumer wouldn't either. I'm not sure about the longevity claim since I'm reading from different sources, some of which say they're marketed as long lasting and others that make no mention. The formula for the pencils isn't holding up the way I want it to on my eyes but your experience may vary based on your eye shape. The lip and body-safe pencils perform wonderfully in the lip area. In the long run for me, OCC have created a set of really nice lip pencils (the lip and body safe colors like Anime, Black Dahlia, Hoochie, NSFW, and Grandma) but they're not at successful with their eye, lip, and body-safe pencils (Feathered, Sybil, Pennyroyal, Tarred, Pool Boy) for the eyes. I think as a professional working in photoshoots or someone who deals more with editorial looks, you might enjoy these pencils. TL;DR version: The eye, lip, and body-safe shades were best as liner on the waterline and aren't not colors most people will use on the lips and they're not great on the face/body since they don't set. The lip and body safe shades are great lip pencils. e) You intend to smudge these out, they end up too sheer that way. Disclaimer: I received these pencils courtesy of the brand. All opinions are my own and I wasn't compensated for this post. My experience may be very different from yours but that doesn't mean yours or mine are any less valid. The link marked as an affiliate link gives me a commission based off your use of the link. Feel free to use a nonaffiliate link. I swatched these at IMATS and was not impressed; I thought they seemed too dry and not pigmented enough - I guess I'm just used to creamier pencils. Thank you for the detailed review, sounds like they don't perform much better than they swatch. I'd love to try them as lip liners. They're pretty sweet as lip liners/lip pencils! These sound pretty useless. That's disappointing after the lip tars were so spectacular. NSFW is a great shade for a lip liner! Omigosh - I want the hoochie pencil really bad as well as the purple lippie you wrote about the other day :) eek! I'm dying to get some of these! Great review! I have the pennyroyal lip tar. These look great. These are stunning! Love your swatches and review! I have just started using lip liners to enhance my lippies, I'd love to try these! Interesting! Thanks for the reviews and swatches. I guess people can keep experimenting with their own approaches to pencils! I seriously want a llllllll of these! Are these $16 or $18? Christine stated $16 but here you've stated $18. Thanks for an honest review. I love my Black Dahlia lip tar, but not sure I need the pencil. Yeah there is a big difference between the liptars and the pencils. I havent gotten a chance but I want to test them on the lips to see how noticeable it is. Pool Boy is one I doubt I ever use anyway, but it had the biggest difference of them all. Thanks for being so honest. I think I will skip these. I really need to try this brand, great review! Thank you for the through review. I look forward to trying NSFW as a lip pencil.